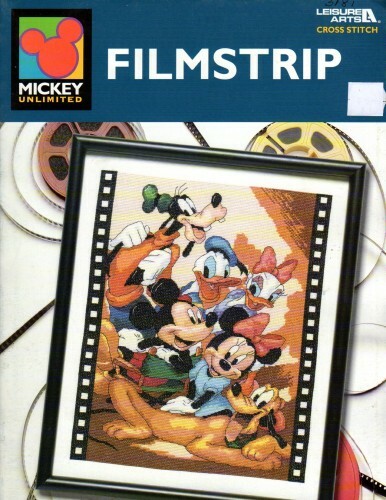 Leisure Arts Disney Mickey Unlimited Filmstrip Cross Stitch Pattern leaflet. Stitch count 144w x 190h. Appears new. Price tag and handwritten code on cover.